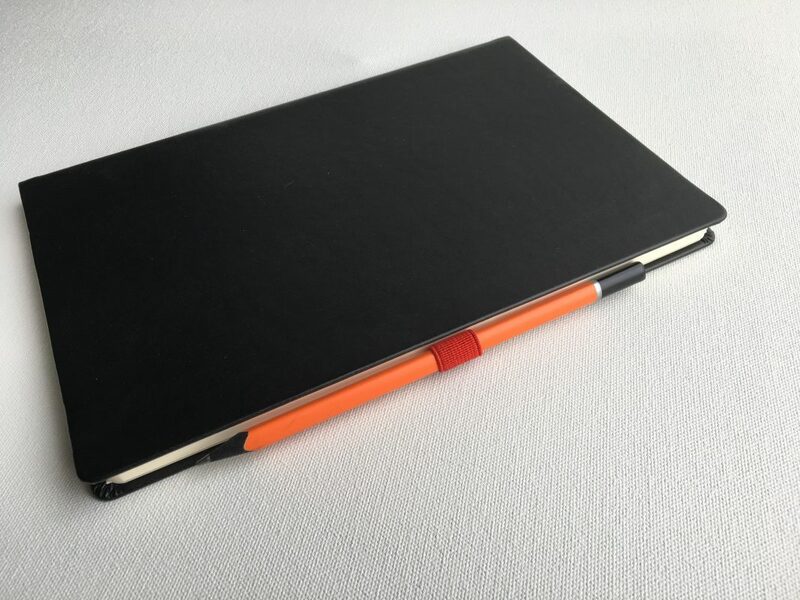 The Leuchtturm1917 pen loop works best with slender writing tools such as regular size wooden pencils, Staedtler triplus pens, cheap Bic or Paper Mate ballpoints, Sakura Gelly Roll pens, you get the idea. I didn’t like using pens with rubberized or highly textured grips with this pen loop because they are too difficult to slide in and out. Maybe you are more patient than I am. 2. I was able to use the pen loop to hold pens with a medium size barrel only if they were cigar-shaped (tapered on the ends) and had a smooth barrel. A couple of examples of this are the Platinum Plaisir fountain pen and Pentel Tradio pens. 3. For pens with a wide barrel and squared ends, the best you can do is attach your pen clip to the elastic pen loop. 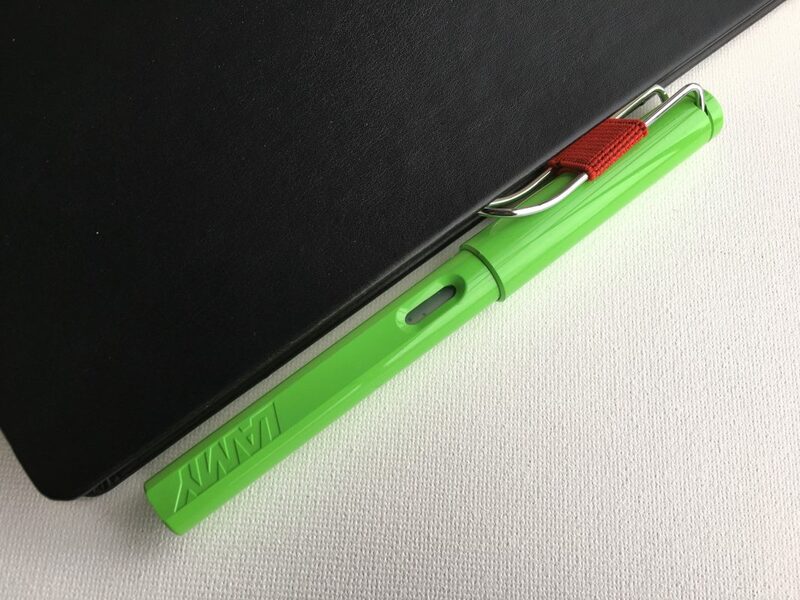 Check out the photo below to see how you can use it with the clip on your LAMY Safari fountain pen. 4. When I use a fountain pen, most often I prefer to write with it “unposted”, or without the cap placed on the top (non-nib) end of the pen. While I’m writing, I’m always looking for a place to put the cap so I won’t lose it. The pen holder is a handy place to attach the clip of my fountain pen cap until I need the cap again. 5. Think before you stick. The Leuchtturm1917 pen loop is only meant to be stuck in one place and not removed and stuck somewhere else. 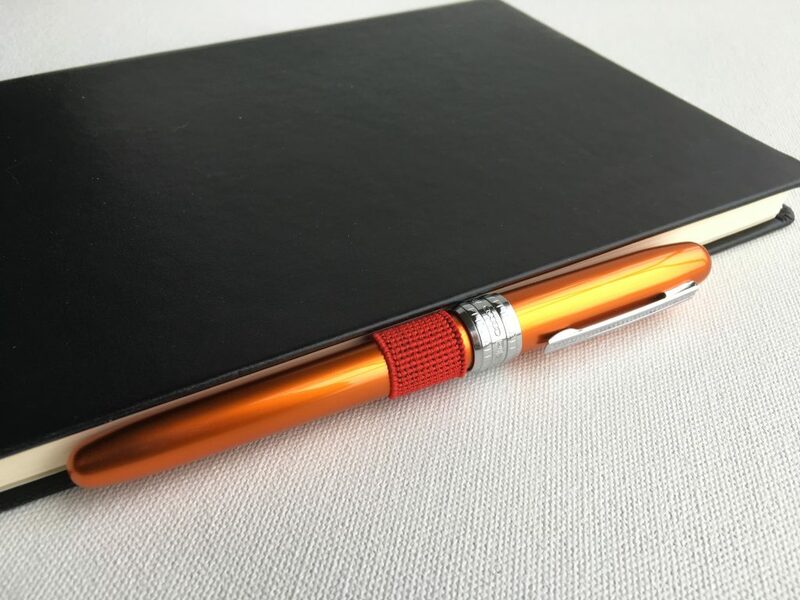 I put mine in the center of the back cover of my large Quo Vadis Habana Journal because I am planning on using the pen loop to grasp the center portion of my pen. 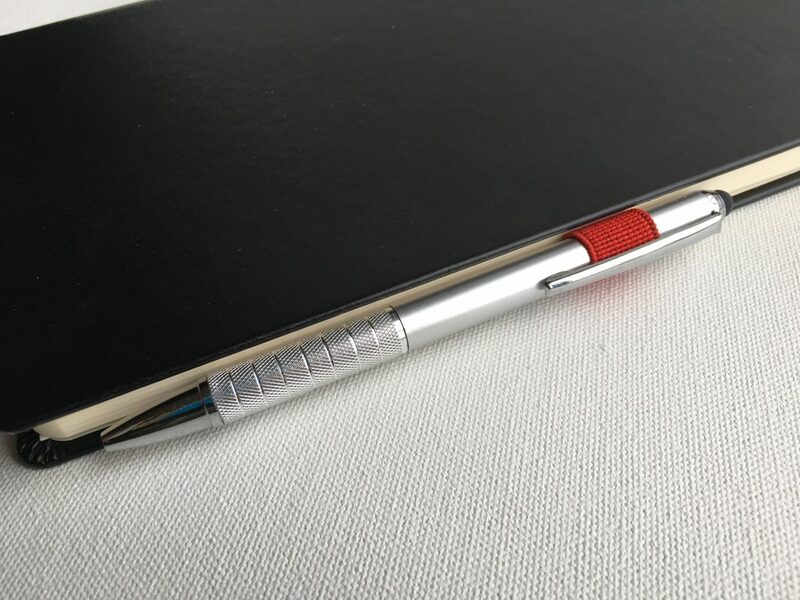 If you want to use it to grasp the top part of a pen near the clip, you’re better off sticking the pen holder near the top of your notebook. It’s a good idea to figure out what pen you want to use with the holder, put the pen in the loop, and then put it next to your notebook to figure out where you want to place it before you stick it on the cover. 6. Once my notebook is used up, I will get another pen loop to stick on a fresh new notebook. 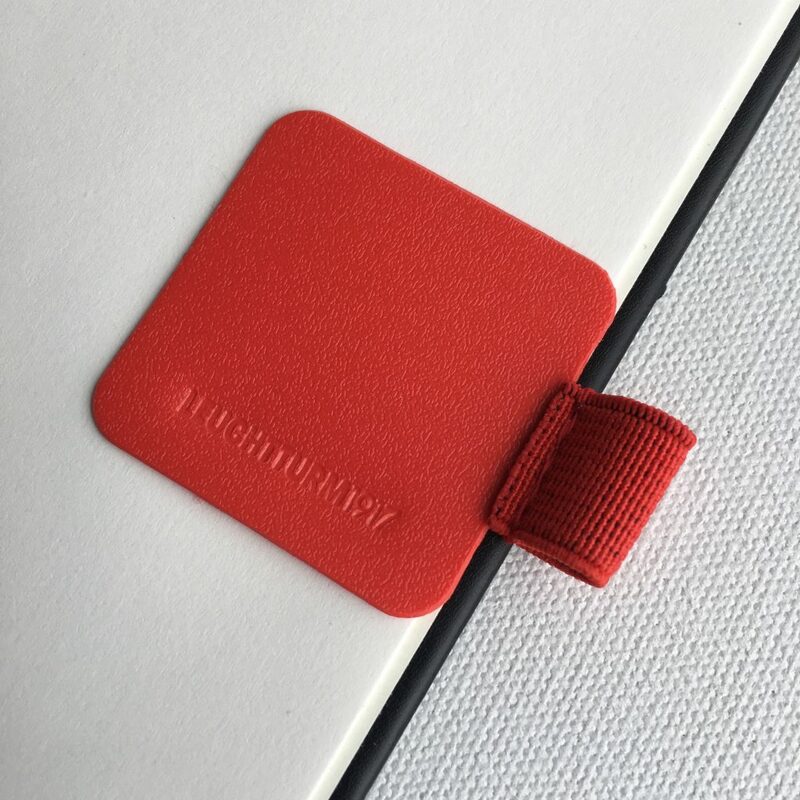 This makes sense, because even if the Leuchtturm1917 pen loop used the best quality materials in the world, over time they eventually wear out. 7. 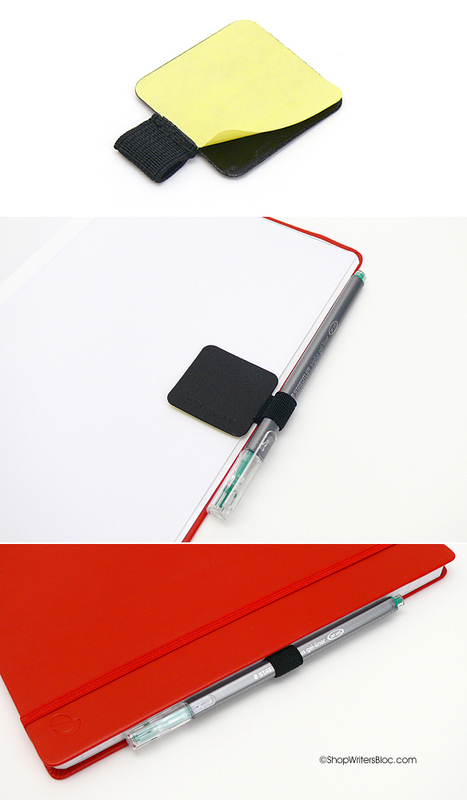 The pen loop is not a fool-proof way to avoid losing your pens and pencils. 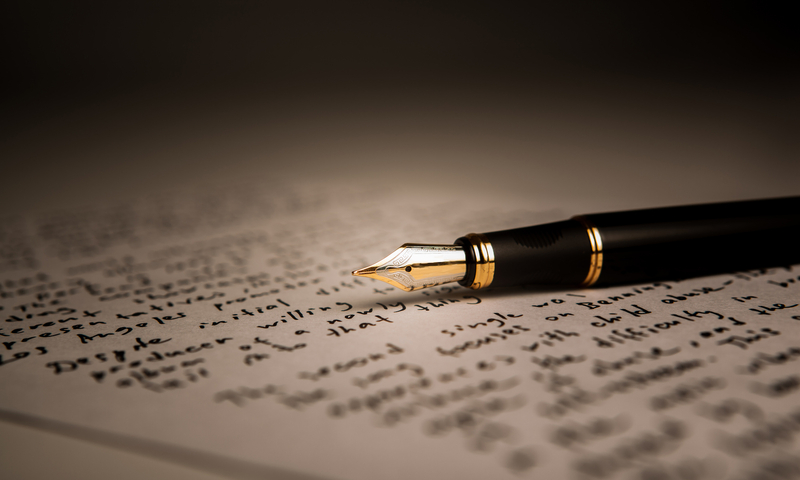 You still need to exercise care so as to not lose your valuable writing tools. Also, if you want to remove the pen loop, don’t expect it to remove cleanly. 8. 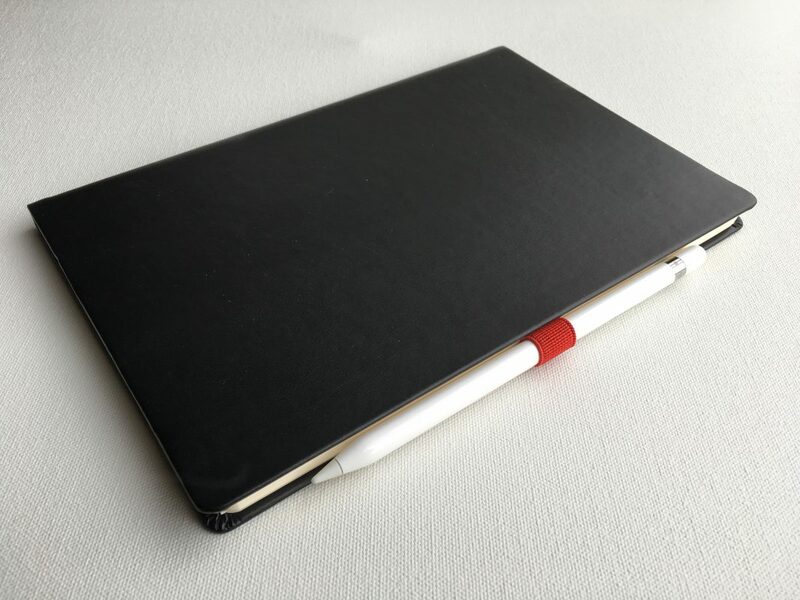 Even though the Leuchtturm1917 pen loop is designed to be used with paper notebooks, some people have successfully used it on a tablet or smart phone cover to hold a stylus for their device. It does a great job at holding the Apple Pencil! This is a hack, so try this at your own risk. 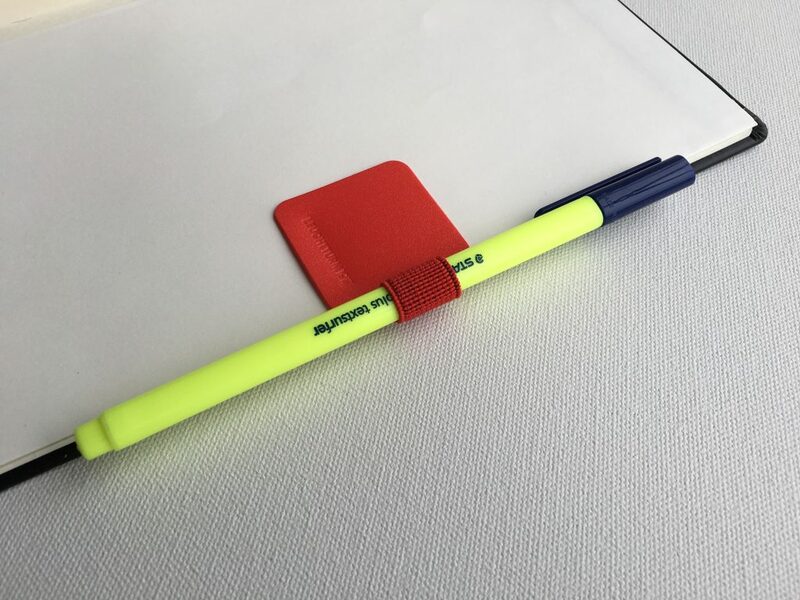 How do you use your Leuchtturm1917 Pen Loop? Do you have any tips or tricks to share?